Say yes to the warm desert climate, care free lake lifestyle and pleasant rays of sun. Greenehaven corner lot is prime location for new construction. 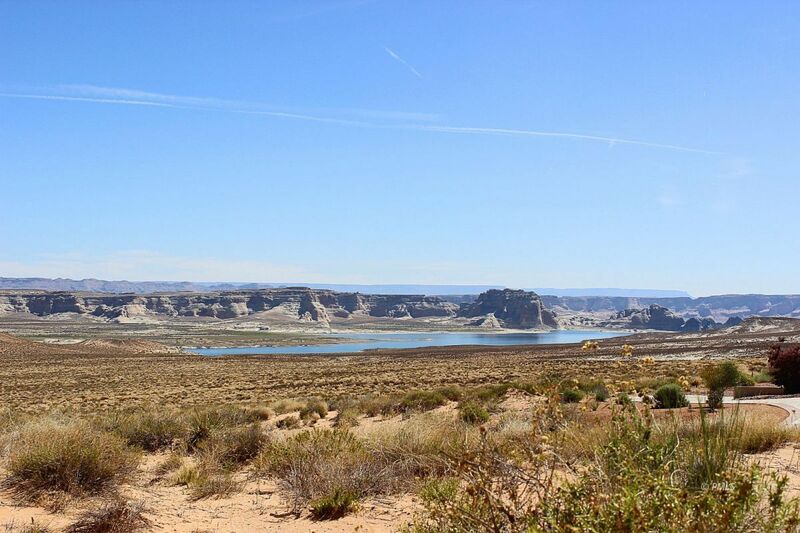 Raised parcel proudly sits at the precipice of sloped hill offering unmatched views of Lake Powell & surrounding beauty. .53 acres offers plenty of space for a lovely lake home, corner lot provides for convenient pull through drive way potential. 10 minute drive to Page and only 7 minute drive to Wawheap Marina. Inquire today! Take your first step towards a lake view paradise.